Wild yet forgiving rapids and the eastern Washington sunshine converge to make the Wenatchee River one of the best white water runs in the state. 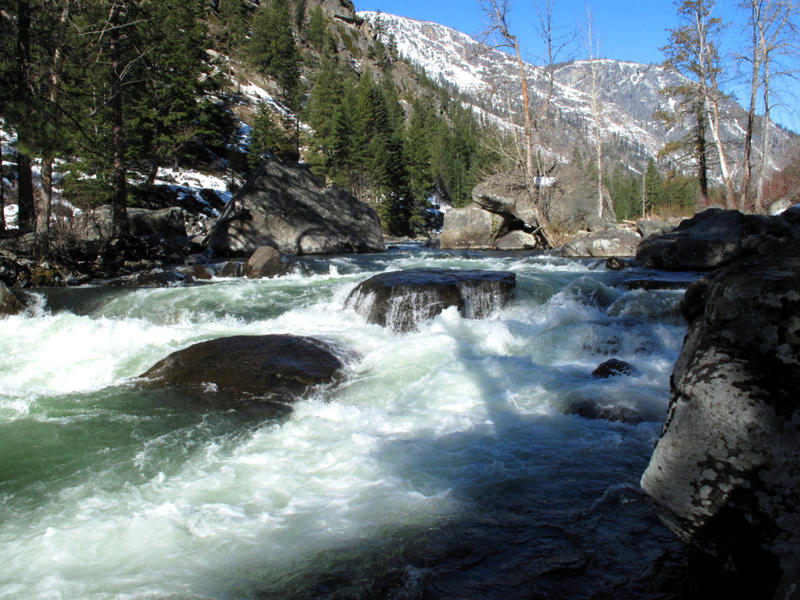 The 16-mile stretch from Leavenworth (the famously quirky Bavarian themed town) to city of Cashmere travels through plenty of exciting Class II and III rapids and waves, interspersed between calmer stretches that give you time to relax and take in the scenery. After the Leavenworth put-in, you’ll come to the first major rapid – called “Boulder Bend” – just downstream of the Highway 2 bridge. When the river is higher, more advanced paddlers can surf the waves on the river’s left. If you are looking for an easier line, stay right. After floating along at a moderate pace, you will reach the lowhead dam. Be careful to keep away from the base of the dam – the hydraulics can be deadly. The Wenatchee continues through the landscapes of rolling hills and apple orchards – but don’t get too comfortable. About four miles from the lowhead dam, you’ll come to a rugged series of rapids, starting with “Rodeo Hole.” Brace yourself for it when you see the granite slope on the right side – which might even have some picnicking spectators sitting on it, ready to cheer you on. “Dunkard’s Drop” is then just around the corner, and then a surf wave on the left called “Turkey Shoot,” known as one of the best spots in the state to hone your skills because it is a friendly feature that is fun at a wide range of flows. Going out with a bang, “Snowblind” is one of the more technically challenging sections on the river. Weave through its waves and holes, then cross under the highway bridge and treat yourself to a riverside picnic after taking out the boat in Cashmere. The rapids are class III not so much for their technicality, but for their size – plus every one of them ends in a pool of calmer water. This means that the stakes are relatively low; you don’t need to be highly skilled in order to play on them. Just know that you’re gonna get wet! This is a great river for novices and more advanced paddlers alike. When the river is at its highest in the spring, the rapids present satisfyingly formidable challenges for true fanatics. Once the river mellows come summer, it is a perfect place for beginners to get their first taste of white water. There are many companies in the area that offer guided white water rides and kayaking lessons. Find the Leavenworth put-in just upstream of the Highway 2 bridge near the Safeway, on river right. There is a big parking area 0.7-miles down East Leavenworth Road.